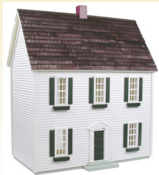 This house is actually an RGT Colonial half scale house. 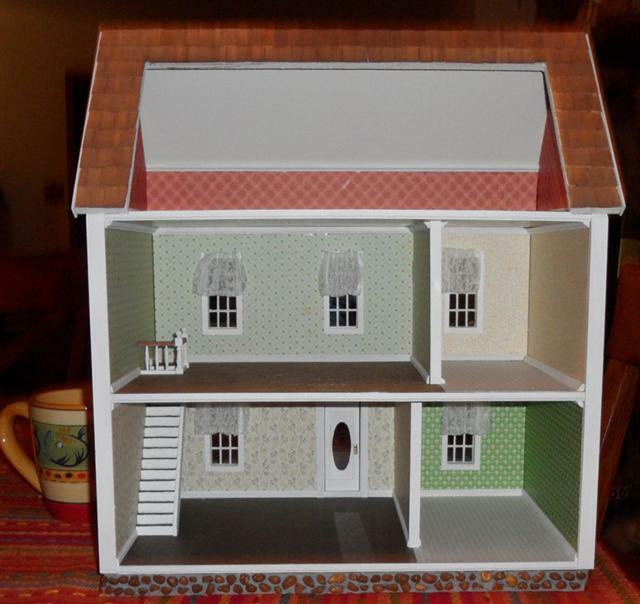 It's very similar to the antique TootsieToy house. 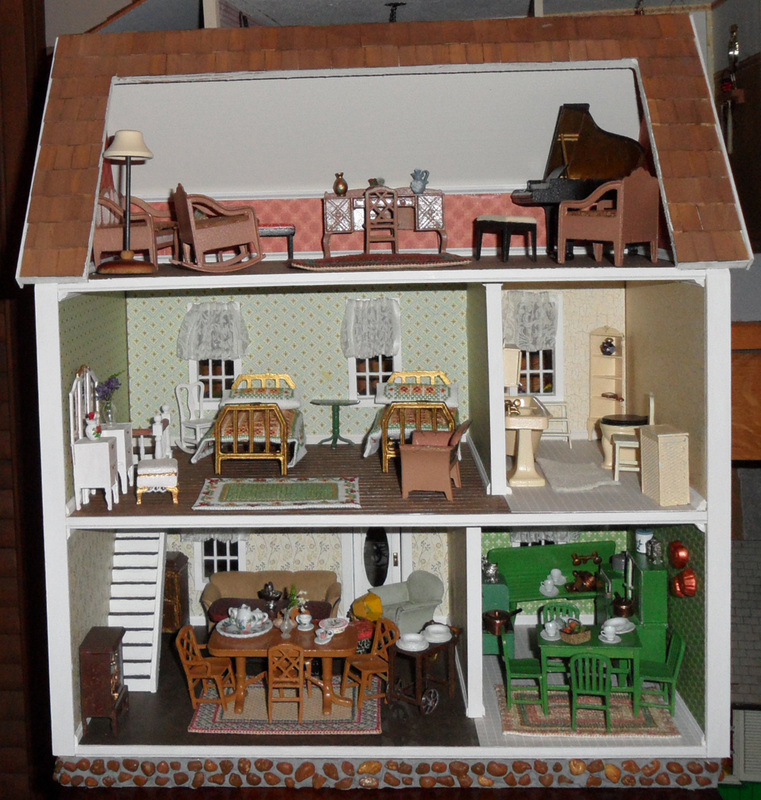 I built it to house a collection of antique Tootsietoy furniture given to me by my dear friend, Patty. I added a foundation, top dormers and a porch. I also changed the door. 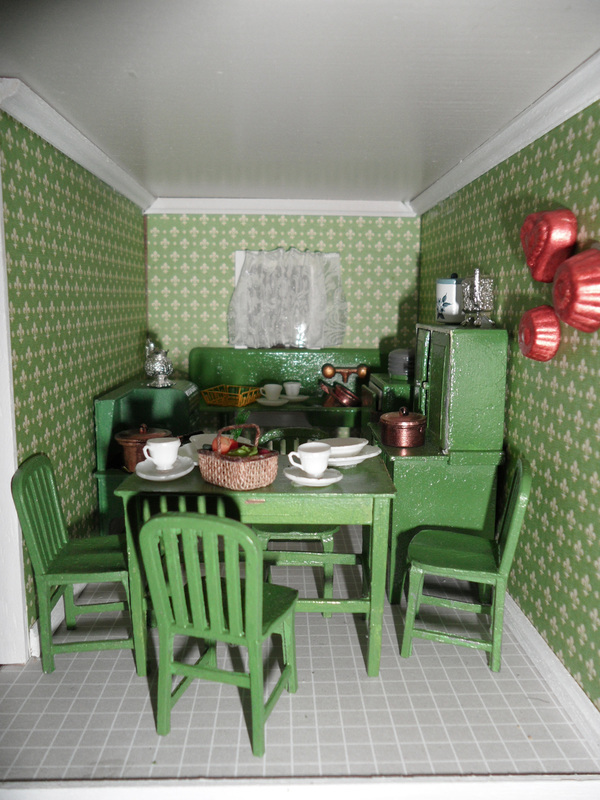 The interior walls and lower floors are covered with scrapbook papers. 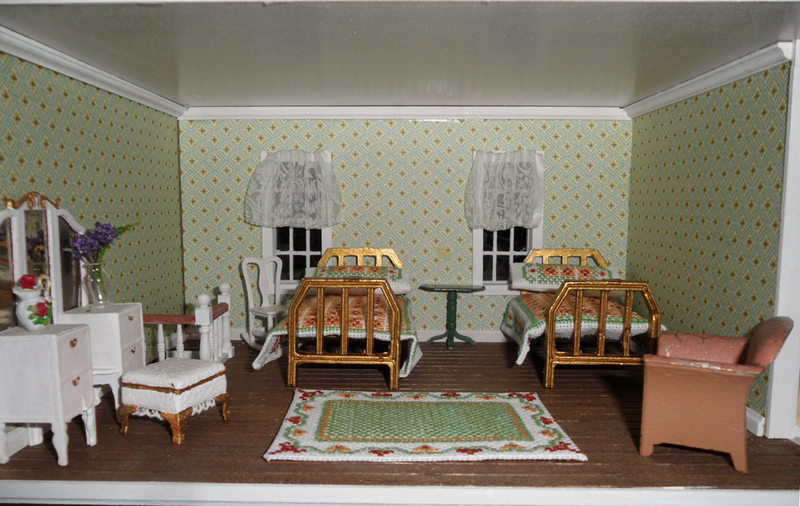 The curtains are made from lace trim. 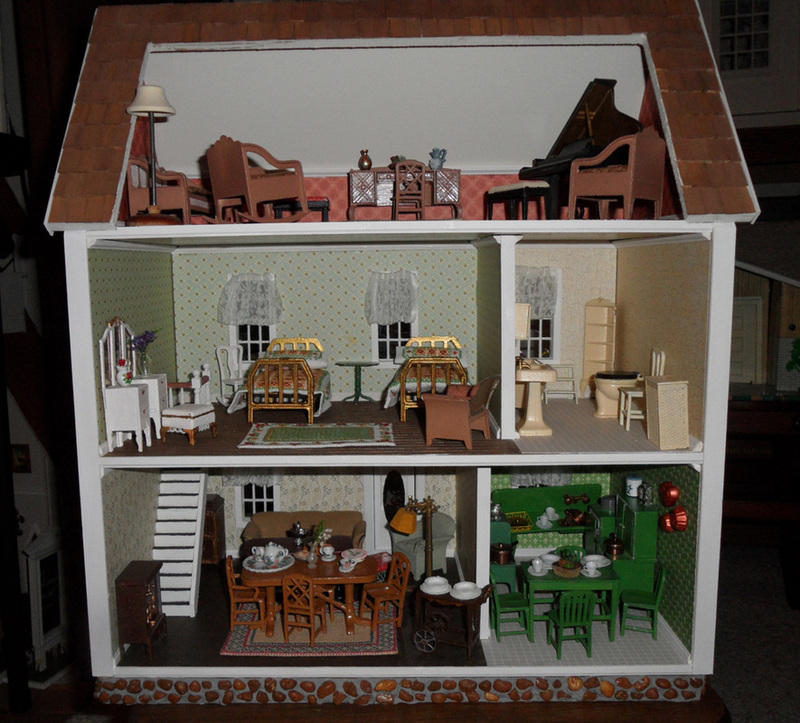 All the furniture in this house is TootsieToy, given to me by my friend Patty. 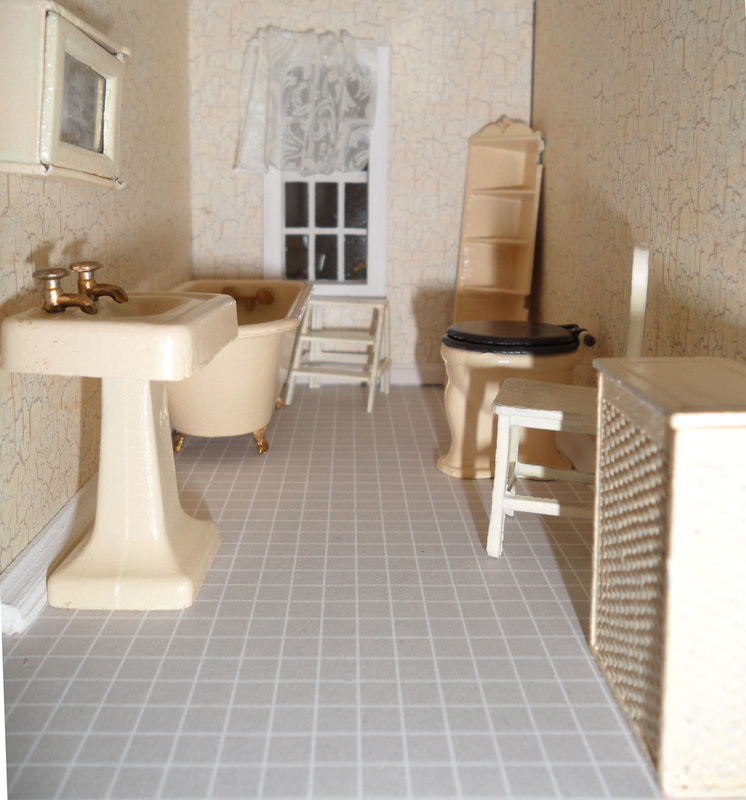 TootsieToy furniture was made in the 1920s, but in the 1930s the company started adding opening doors to their pieces. 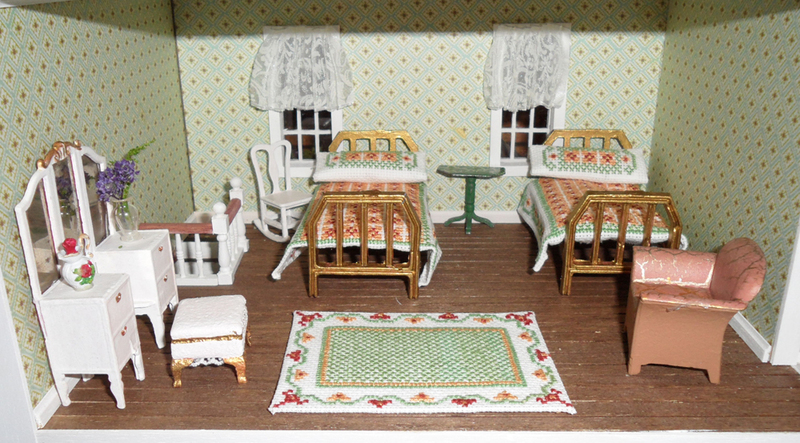 The 1920s parlor set furniture featured imitation caning. This furniture has been replaced. The room also contains a desk with opening doors, and a rare piano. The master bedroom furniture has been repainted with the exception of the club chair and green end table. 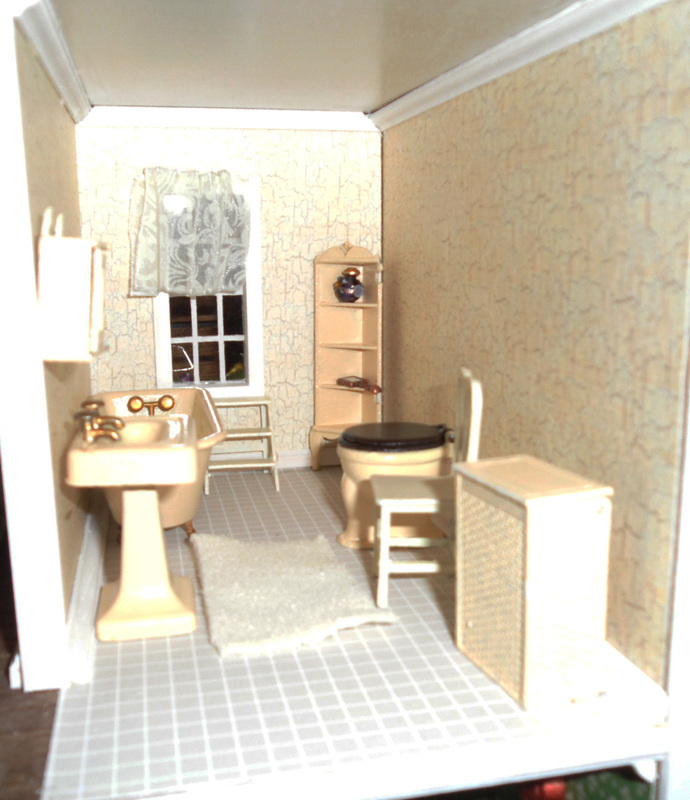 The second floor also contains a bathroom. The TootsieToy furniture found here has been repainted, but the color is close to the original. The corner shelf is missing its door. The sofa, arm chair, standing lamp, and coffee table are in original condition. The other pieces have been touched up. The kitchen is my favorite room in the house. Everything has been touched up but the green color is original. My friend brought out several trays of TootsieToy furniture and instructed me to select the pieces I wanted. I was so thrilled. To this day I am amazed at her generosity. 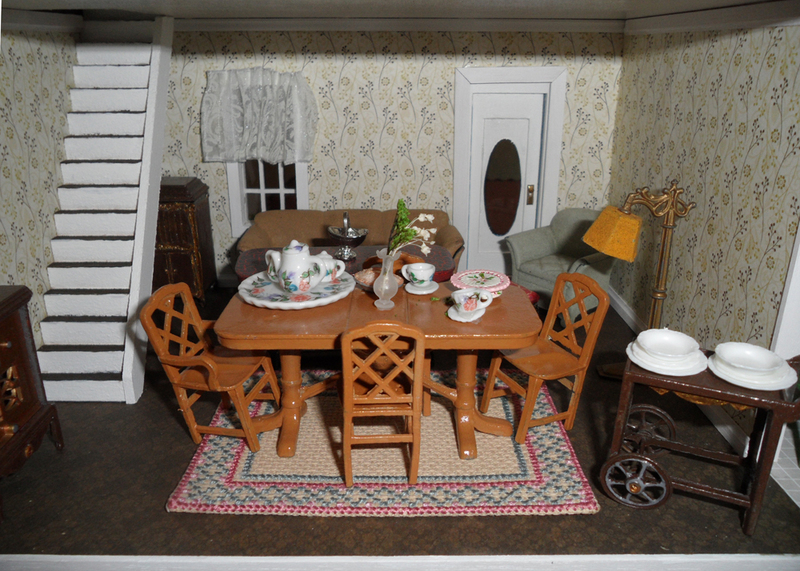 I think the furniture is so charming!